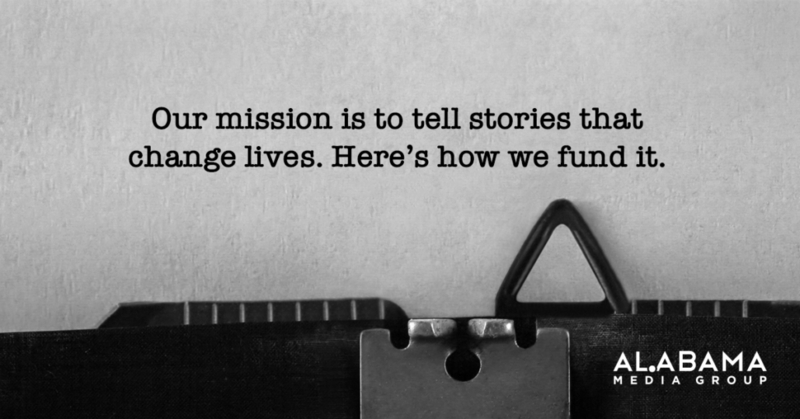 Our newsroom’s mission is to tell stories that change laws, lives and minds in our communities. Whether we’re focused on how Alabama teaches Black history across the state or licensed midwives, our mission remains the same. But, journalism is not free. We have a finite budget and there are stories we can’t tell for lack of funding. We look for funding wherever we can find it – through advertising, sponsorships, consumer revenue, tight budgeting and partnerships. And we take advantage of funding opportunities through grants from like-minded organizations like ProPublica. Newsrooms started in earnest in the US alongside the birth of the printing press. New technology meant mass production for substantially lower costs — newspapers flourished as a result with daily publication. At that time in the early 1800s, newspapers depended on subscriptions to keep their doors open, but subscribers also swayed what and how news was reported. By the 1900s, advertisers became the main source of revenue for newspapers, and reporting became more bi-partisan bringing with it a new age in journalism that continues today. At Alabama Media Group, our stories may give out a dose of tough love, “but sometimes tough love can solve big problems,” says Kelly Ann Scott, vice president of content at Alabama Media Group. The importance of professional journalism as a public service is indisputable. But the fact is, it’s expensive to produce. No matter how many people consume the content, the expense involved in producing it remains the same – whether it’s producing a video, or months-long investigative reporting. It’s an industry with high fixed costs and low variable costs. After the fixed costs of producing the content are covered, the variable costs aren’t so bad – whether printing in a newspaper, publishing online or airing in broadcast. Larger media companies (we’re part of Advance Local, the 9th largest media company in the US) have an advantage in controlling costs over smaller companies. And as the cost of news production comes down with new technologies, newsrooms can work more efficiently. Whether a newsroom is aggregating content from other sites for reproduction or producing award-winning, in-depth news and entertainment, journalist’s time, expertise and effort is a fixed cost. It’s also the best money we spend each week. Our team of journalists enable us to fulfill our mission. To change lives, laws and minds in Alabama. “Sometimes its stories that touch our hearts and help us see the world differently,” says Scott. “Or an investigative community helping us right the wrongs.” No matter the story, our journalists are committed to telling the stories that matter to our local communities. In the end, we hope it makes us better neighbors. When you fund us you fund our mission. As the state’s largest news and entertainment network, we are a media company with audiences that are deep and wide. With these audiences, the help of our sales team, wicked smart advertising solutions, and you, we can keep fulfilling our mission, and help your business do the same.